When you’re caught up in the day to day of managing a landscaping business—scheduling jobs, juggling employee availability, keeping an eye on aging equipment—it’s easy to overlook longer-term issues that only crop up once in a great while. 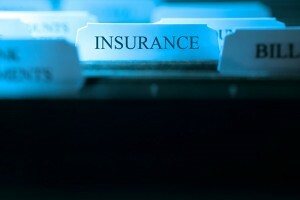 Take your business insurance, for example. If you have employees or work with larger clients, such as a school or business complex, you probably had to secure insurance policies to comply with contract terms. But if you’re operating solo or have worked primarily on residential properties, you may not yet have an active policy. Or maybe you haven’t updated your policies since you first bought them. Whatever your situation, you could face a bevy of risks if your insurance coverage doesn’t match the work you’re currently doing. Here are some of the top ones for landscaping businesses. Summer temperatures, powerful machines and stormy weather all pose grave threats to the health and safety of your employees. A single case of heatstroke could lead to days of downtime. A thumb slipped in front of a blade could have dire consequences. In the U.S., injuries incurred at work are usually the liability of the business owner, which is why every state but Texas mandates workers’ compensation insurance in some form. And, even in Texas, employers can be held financially responsible for expenses related to workplace accidents. To avoid the high cost of medical bills associated with hurt workers, be sure your workers’ comp policy is up to date. If you’re not sure if yours is, verify with your agent that your workers are properly classified and covered. Imagine one of your workers severed a finger trying to clear a jammed hedge trimmer. Your workers’ comp covers the medical bills, but your worker decides to sue because he thinks you should have maintained your equipment better and, if you had, he wouldn’t have had to mess with it in the first place. He may not be right, but because of the high cost of legal bills, lawsuits of any kind are expensive, even if you win. The good news: Many workers’ comp policies include coverage called “employer’s liability insurance,” which specifically funds lawsuits related to workplace injuries. Check with your agent to make sure your policy has this coverage. It’s not a secret you can’t do work without equipment. And while no one expects their gear to be stolen or destroyed in a storm, these things happen. The cost of repairing or replacing equipment can be significant, but for some landscape professionals, that’s only the tip of the iceberg. What if your equipment takes too long to replace or repair and your clients switch to another company? What if one of your clients decides to sue you for breaking your contract after you miss a deadline? Having a plan for when equipment fails is crucial to staying afloat. Property insurance can reduce the time it takes you to regain functionality after a breakdown or loss. You know the importance of cleaning up after yourself, and you trust your team to do the same. But we’ve all left behind tools, and we all make mistakes. Imagine one of your employees is hurrying to pack up as a thunderstorm rolls in and drops a reel of trimmer line on the client’s lawn. The employee doesn’t notice, and neither does your client—until his or her daughter trips over it and breaks her leg. Medical bills aren’t cheap, and there’s a chance your client could sue you to pay theirs. The hit to your business could be significant. Luckily, a general liability policy would cover the cost of your lawyers’ bills and any settlement or judgment you’re found responsible for paying. Because the work you do involves heavy, potentially deadly machinery, you are at risk for settlements or judgments that exceed the limits of a basic business insurance policy. Luckily, you easily can secure extra protection for yourself for lawsuits over worker and client injuries with an umbrella insurance policy. Umbrella coverage, which typically costs a few hundred dollars per year, offers coverage in increments of $1 million that can be applied to any of several policies that are maxed out. Insurance is not optional for landscape business owners—that’s the message here. But the second point to get across is that insurance shouldn’t be the only way you protect your business. In fact, the best way to keep clients, employees and your revenue safe is to proactively avoid risks so you never need to make a claim on your insurance policies. While some risk factors are beyond your control, there are certain precautionary measures you can take to reduce many of your risks, including. Relationship management: At the end of the day, most lawsuits can be avoided by communicating well with your employees, clients and others who come into contact with your business. Lawsuits often result when a frustrated party feels they have no other avenue for their complaints to be heard. By demonstrating that you’re open and available, you can resolve small problems before they become big ones. Ted Devine is the CEO of insureon, an online provider of small business insurance. Prior to joining insureon, Devine held senior leadership positions at Aon Corp. and McKinsey & Co.